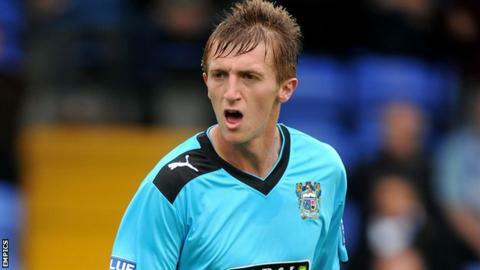 Carlisle have signed Burnley defender Tom Anderson on a month's loan. The 21-year-old is yet to make his Football League debut, but has had temporary spells with Barrow, Hyde, Halifax and Lincoln. In total he has played 29 times in the Football Conference, scoring once. "Tom's had a very good loan spell and this is the next challenge. We think he's the type of character who will take it with both hands," said manager Keith Curle. Curle is currently short of defensive cover, with Troy Archibald-Henville, Sean O'Hanlon and Paul Thirlwell, who has also played in defence, all unavailable.